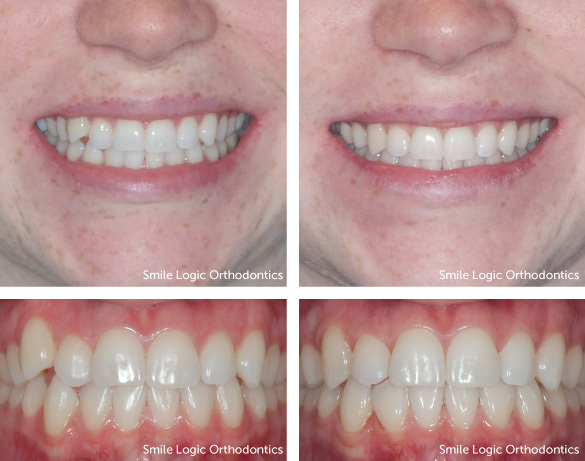 Mild crowding corrected with clear aligners in 18 months. Actual patient of Dr. Viechnicki. Crowding is a lack of space for all of the teeth to fit normally in the mouth. Treatment options range from increasing the size of the jaws, reducing the size of the teeth and reducing the number of teeth. Severe crowding corrected with a space maintainer before all the baby teeth fell out. Note 10 teeth before vs. 12 teeth after. Actual patient of Dr. Viechnicki. 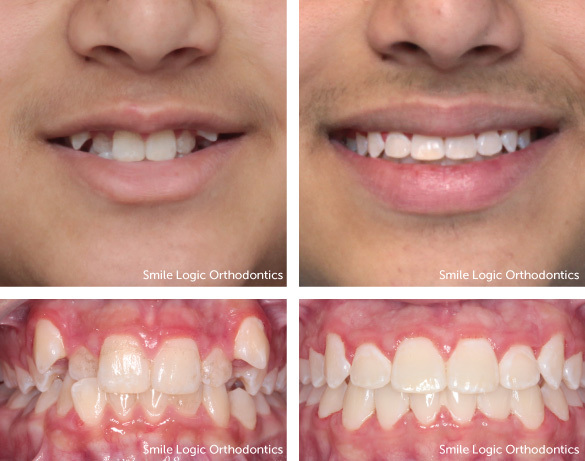 Mild crowding corrected with full braces for 24 months. Actual patient of Dr. Viechnicki. 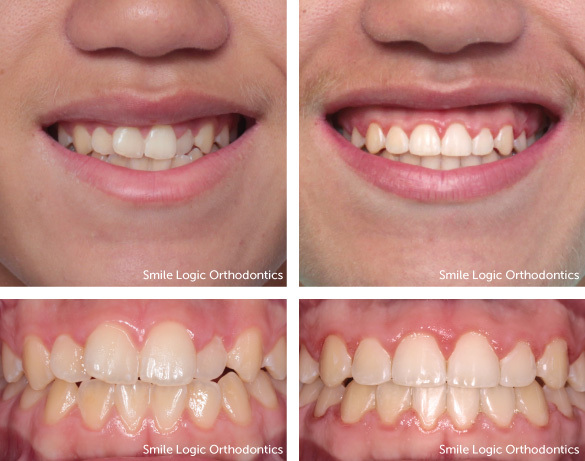 Mild crowding corrected with upper braces in 7 months. Actual patient of Dr. Viechnicki. 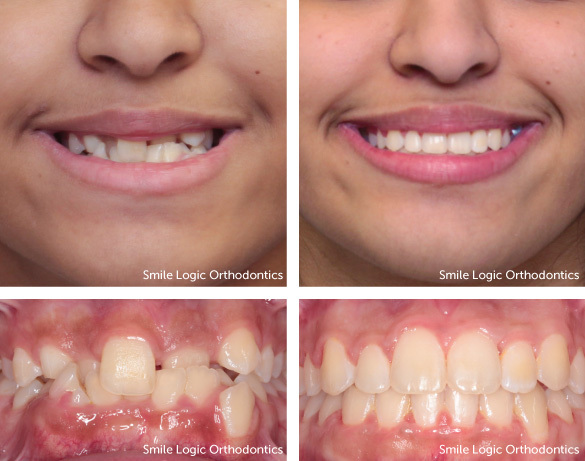 Moderate crowding corrected with full braces in 24 months. Actual patient of Dr. Viechnicki. 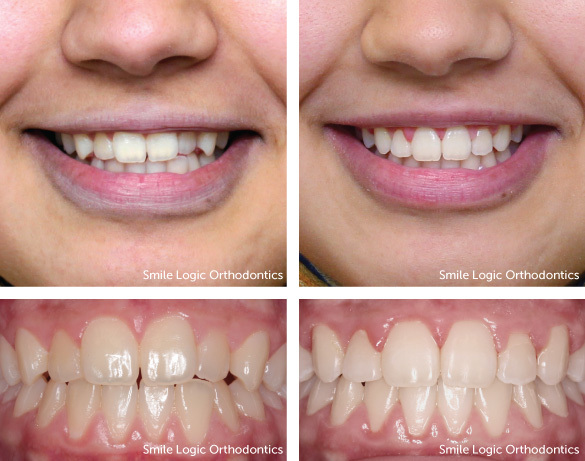 “Slenderizing” can give teeth the space they need to align. 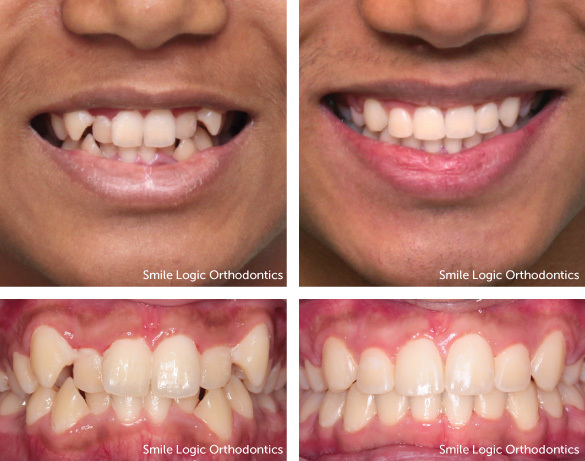 Severe crowding corrected with full braces and removal of teeth in 24 months. Actual patient of Dr. Viechnicki.